The construction project for the Neoclassical façade began in 1782 and finished in 1804, with the intention of substituting the former Romanesque façade that had resisted the collapse in 1391. Designed by Ventura Rodríguez, and erected by Santos Ángel de Ochandátegui. It incorporates the bell ringer’s house, home and multi-use rooms used until 1978, with the last holder being Petra Díez Reguero. 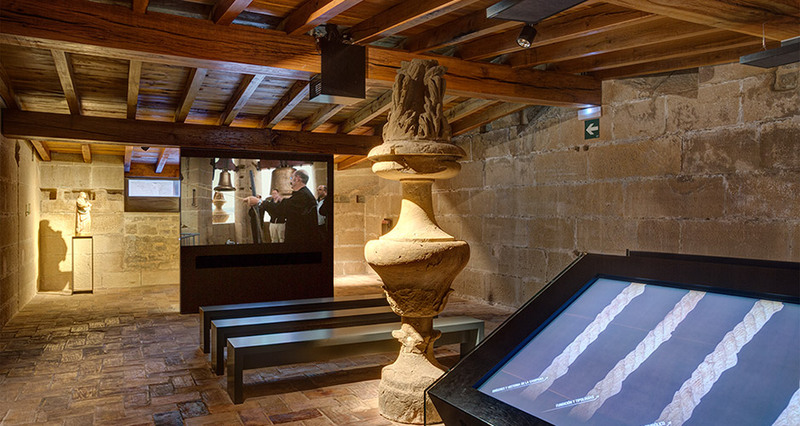 It is currently a museum space, which recollects the construction of the façade, the life of the bell ringers and the various functions of the bells. Videos, touch screens, recorded material and construction materials, among others, form a part of this recommended space, distributed over three floors.